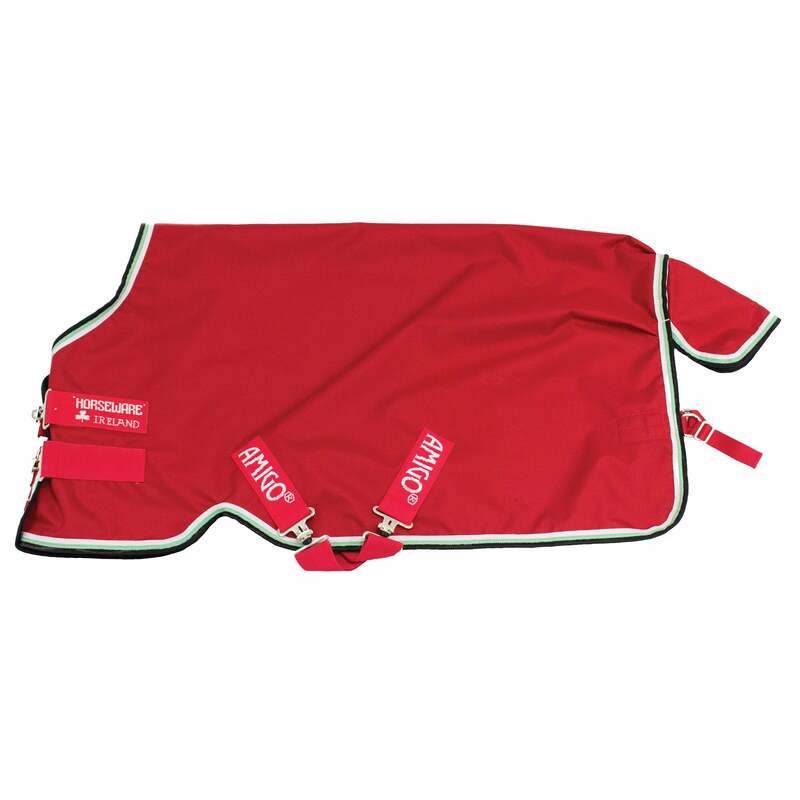 The Amigo Hero ACY 50g Turnout Rug is classic cut waterproof rug made from Air Conditioned polyester Yarn (ACY). This manufacturing process creates a fabric which is stronger, lighter and more breathable than traditional polyester turnouts. Ideal for transitional weather, this 50g fibrefill rug features front leg arches, cross surcingles and shine enhancing polyester lining.